Our fair region in Northwest Michigan boasts the ideal climate for cherry growing. As a tribute to this sweet, bold, and nutritious fruit, we offer nine ways to incorporate cherries in your summer menu. 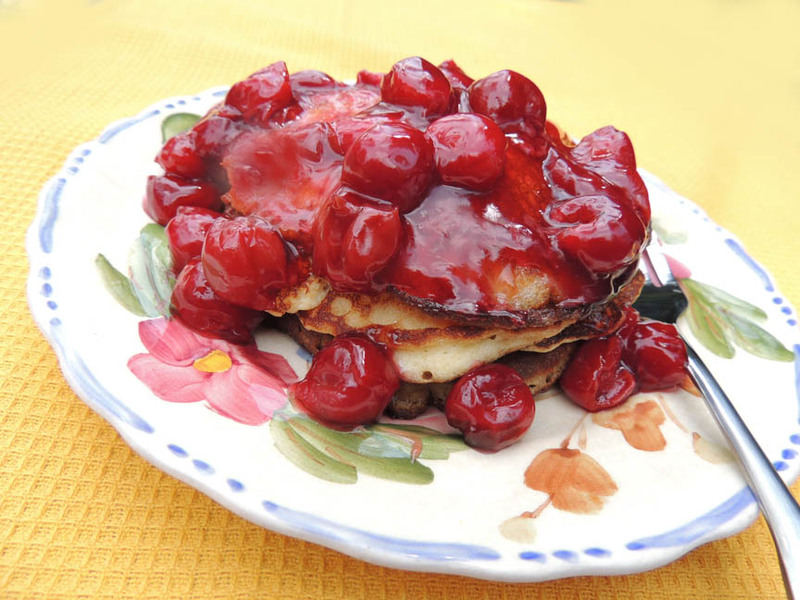 Cherries are wonderful as dessert agents but they also lend themselves to savory dishes. Try one of these recipes to sweeten up your summer table. Preheat grill to medium. Place beef in a bowl and mix in the cherries, breadcrumbs, garlic, vinegar, Worcestershire sauce, salt and pepper until well combined. Divide into 4 equal portions and form into 1/2-inch-thick patties. Oil the grill rack. Grill the patties until browned and grill marked, about 5 minutes per side. Enjoy with your favorite toppings. Mix the juice, red wine, sugar, and vanilla in a pan and bring to a boil over medium heat. Add the cherries and cook for 2 minutes. Whisk the arrowroot with a little cold water and pour slowly into the cherry mixture, stirring constantly. Boil for 1 minute. Remove from heat and cool completely. Combine water, quinoa, and salt in a saucepan. Bring to a boil, reduce heat, and cover. Simmer 15 minutes or until water is absorbed. Remove from heat and let cool. Whisk together the vinaigrette ingredients in a bowl. Combine cooled quinoa, lettuce, cherries, pumpkin seeds, onions, herbs and black pepper in a large bowl. Add vinaigrette and toss to coat. Preheat oven to 350°. Grease a 2-qt. baking, deep dish pie, or gratin dish with butter. Arrange cherries in bottom of dish. In a blender, blend eggs, milk, flour, sugar, vanilla, cinnamon and salt until smooth. Pour batter over berries. Bake until puffed, golden brown, and set in the center, about 40 minutes. Serve warm or at room temperature with whipped cream.